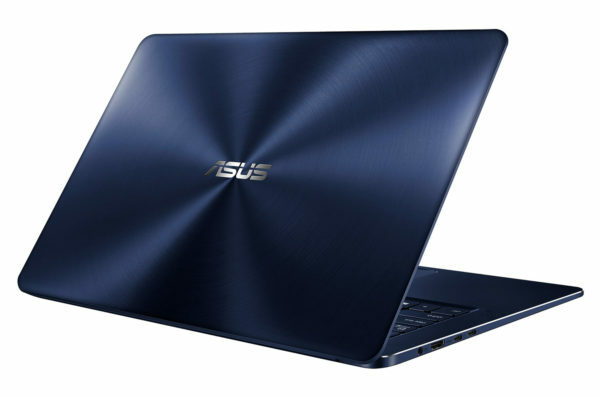 Asus launches in France its Zenbook UX550VE-BN019T for less than 1500 euros , a new multi-purpose games-oriented Ultrabook offers an autonomy announced of 10 hours under Windows 10. It integrates a dedicated dedicated NVIDIA Pascal GTX Ti 4 GB graphics card associated with Optimus technology , an SSD storage solution, a Kaby Lake Quad Core i7 processor, a 15-inch Full HD anti-glare IPS display, a USB 3.1 Type-C Thunderbolt 3 connector, a biometric reader and a backlit chiclet keyboard. Its midnight blue brushed metal finish and its fine finesse give it a look that is both original and elegant. It is cooled by 2 fans supported by 3 heat pipes. It can be recharged 60% in 49 minutes. 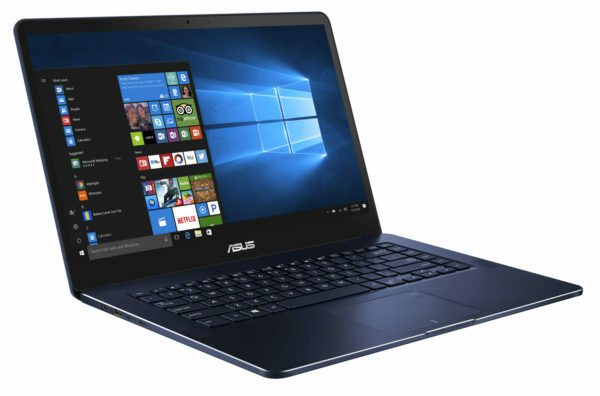 The Asus Zenbook UX550VE-BN019T is for those who want to invest in a 15-inch PC that is versatile, High Definition, compact and nomadic. 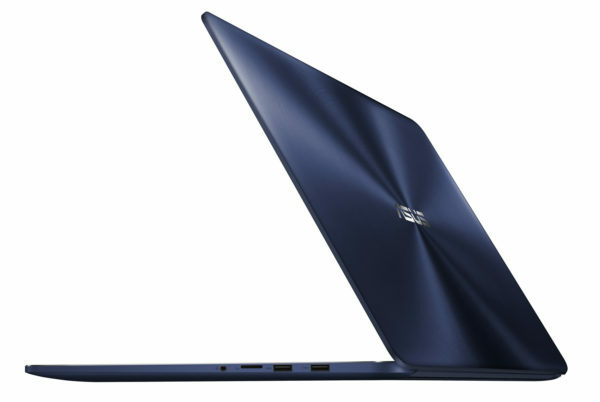 That’s what this Ultrabook offers, the transport of which is facilitated by the contained weight and the compact dimensions. It will seduce those who wish to be able to the user many hours away from a power outlet since it can take about 9 hours on battery when surfing the Internet via Wi-Fi. The antireflection treatment of the screen is particularly appreciable because it provides better visibility in a bright environment (ex: outside) a glossy slab. IPS, the screen also offers very comfortable horizontal and vertical viewing angles as well as more accurate colorimetry than average. Thanks to its Full HD definition, the screen is also very suitable for displaying High Definition content, especially videos with its 16 / 9th format. Whether with the Intel HD 630 graphic part housed in the processor or the GeForce GTX 1050 Ti dedicated card, we can obviously look at photos and videos on this Ultrabook equipped with NVIDIA Optimus technology. Optimus automatically switches in real time between the Intel HD 630 and the GeForce GTX 1050 Ti as needed. It prefers to the maximum the first despite its modest benefits because its low energy consumption promotes autonomy compared to the GeForce GTX 1050 Ti. More powerful and greedy than the Intel HD 630, the dedicated GeForce GTX 1050 Ti 4 GB dedicated card is able to run a lot of games as you make adjustments under the most demanding opuses in resources graphics to get a good flow. Built around an Intel HM175 chipset, a Kaby Lake i7-7700HQ Quad Core processor and 8GB of RAM, this versatile Ultrabook also delivers solid overall performance. It is able to fill a maximum of users, guaranteeing much faster daily operation than a PC based on a Dual Core processor and 4 GB DDR3 / 4. The difference is especially noticeable in the CPU and RAM resource-intensive areas that benefit from multi-core architecture such as video editing, photo editing, and 3D rendering. With its dedicated SSD storage much faster than a hard drive while being more robust, less energy consuming and quiet, this Ultrabook is very responsive to use, including games. However as often the capacity of the onboard SSD is lower than the standard of the hard disks. In case the 256 GB SSD would be too accurate, we can of course rely on an external storage unit. Opting for a USB 3.0 / .1 device is therefore a good option because it takes advantage of transfers made up to 10 times faster than USB 2.0. This game oriented Ultrabook has a good connection composed of 2 USB 3.1 (USB 3.0 and USB 2.0 compatible) but also 2 USB 3.1 Type-C Thunderbolt 3, an audio port, Bluetooth wireless modules 4.2 and Wi-Fi ac to communicate and connect remotely or a convenient HDMI video output to easily connect to a monitor or TV for example. Finally, the identification on the system is facilitated by the Windows Hello compatible fingerprint reader. The chiclet keyboard can be backlit which is handy to discern its keys in a dim light. On the other hand, some will regret without doubt the absence of keypad whereas it is about a standard in 15 inches.